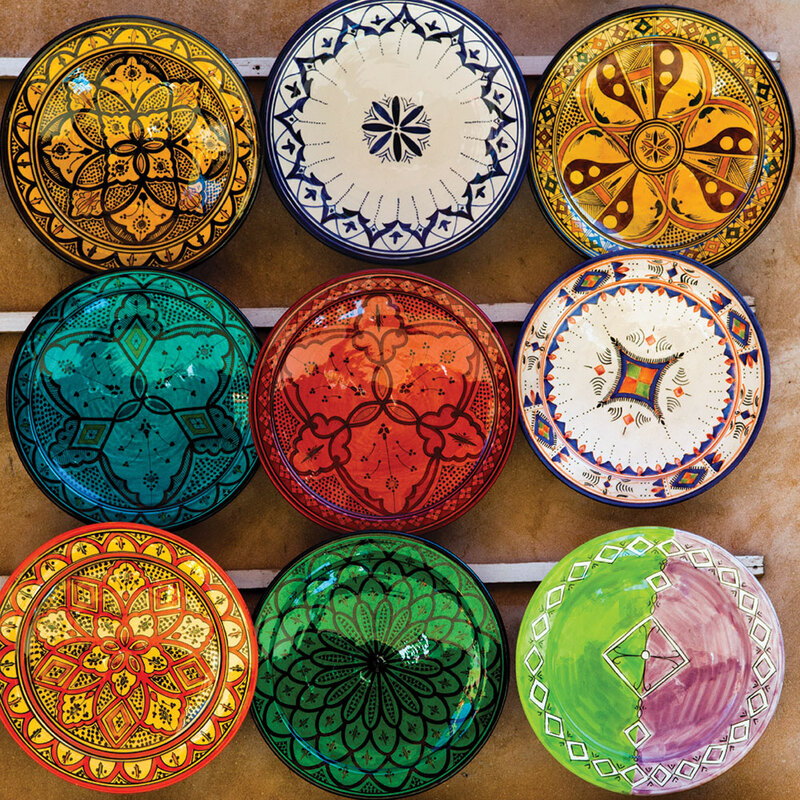 Image: A tagine, perhaps Morocco's most famous cuisine? To really get to know the heart of a country, you need to know its food and drink. 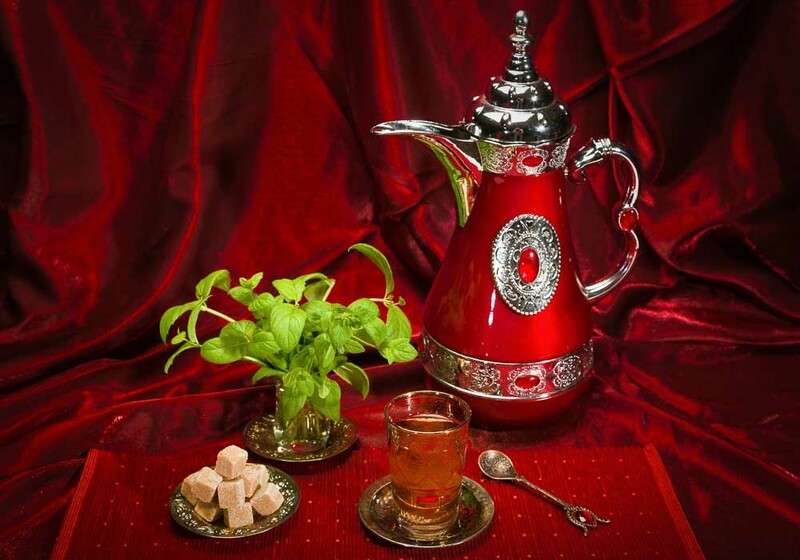 Moroccan cuisine is famous throughout the world, and is quite unique. 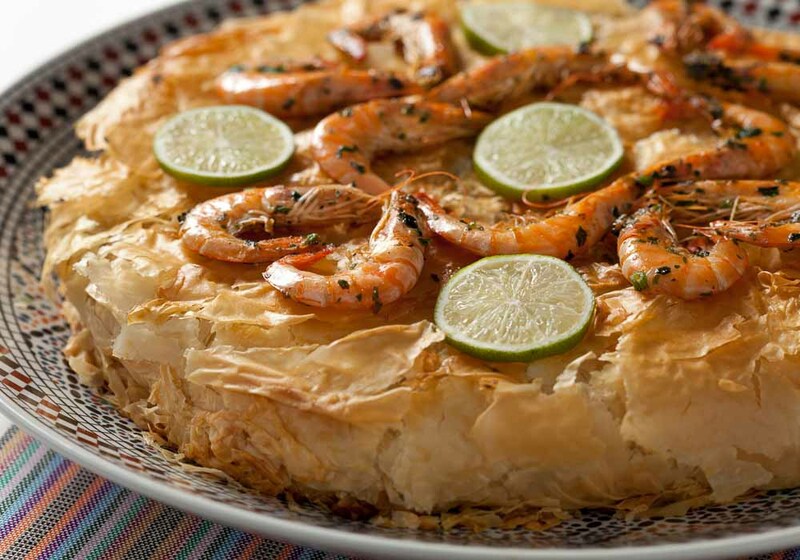 Full of subtle spices and tantalising combinations of flavours, Morocco's cuisine is sure to please every palate. 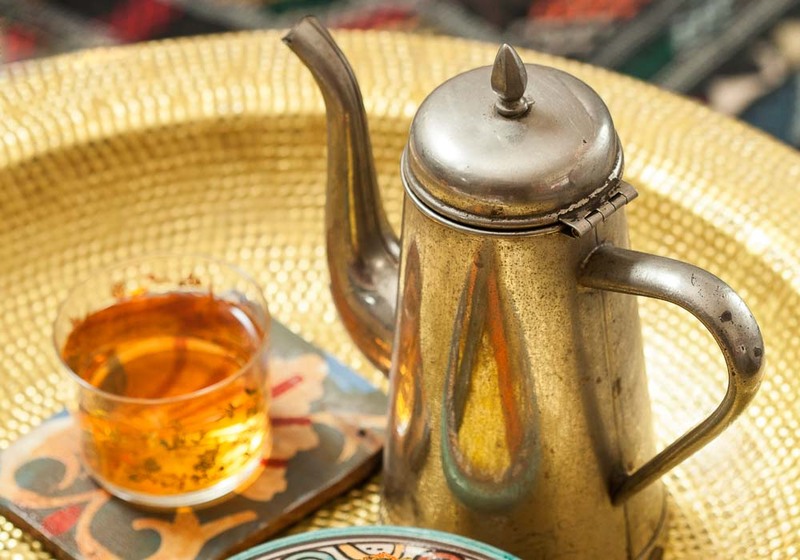 The tastes of Morocco come from its mixed heritage – a blend of Mediterranean, Jewish, Arabic, Amazigh and West African influences find their way into the cooking pot and fuse together to create flavourful combinations. 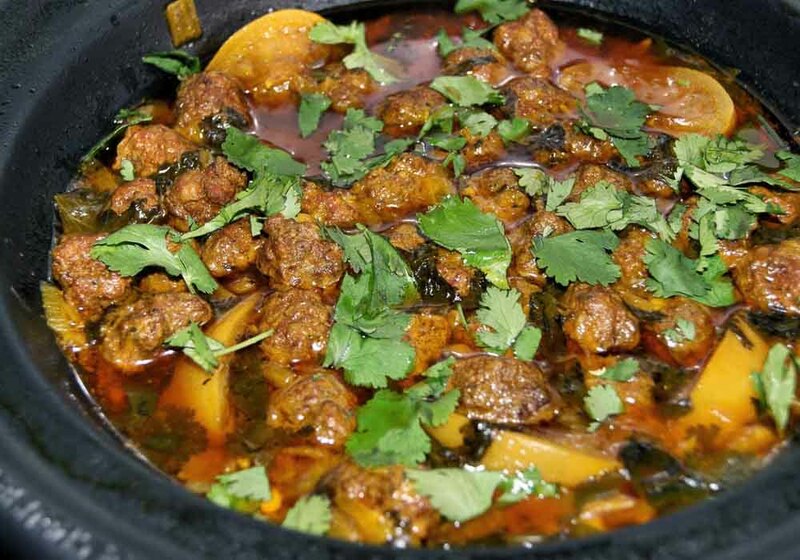 While you’re in the country you must try the warming tagines, flaky pastillas, spicy hariras and fishy chermoula. 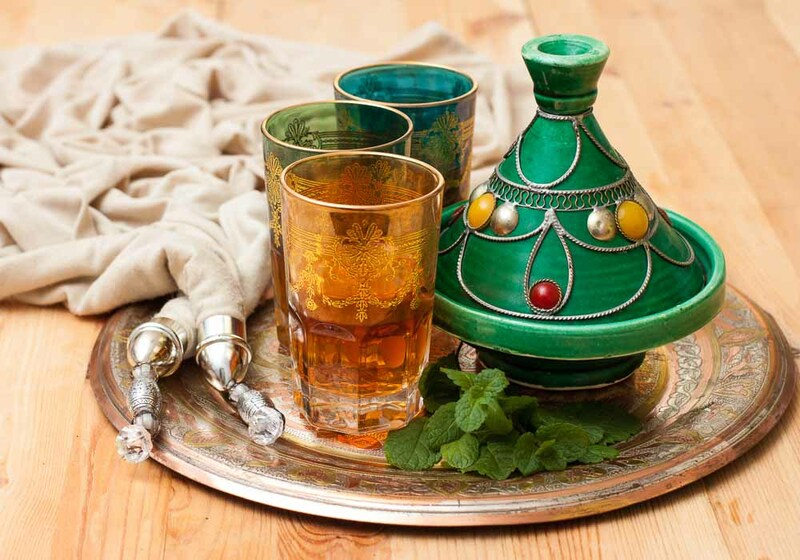 When you’re looking for something to drink, mint tea (known as Berber whiskey) is the national drink and you’ll find it enjoyed everywhere. When it comes to eating in Dakhla you’ll discover there is a wonderful menu of amazing dishes, just waiting for you to try. It’s a place where the local cuisine ranges from the familiar to the exotic. Somewhere that you can eat T-Bone steak and hamburgers one day and tajine or some spiced camel the next. 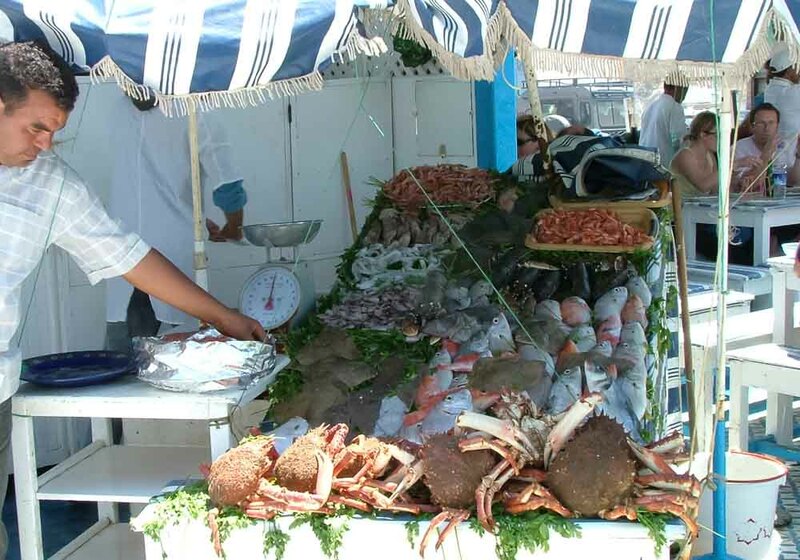 Of course, as Dakhla is surrounded by the Atlantic Ocean, it’s a town where seafood is king of the kitchen. 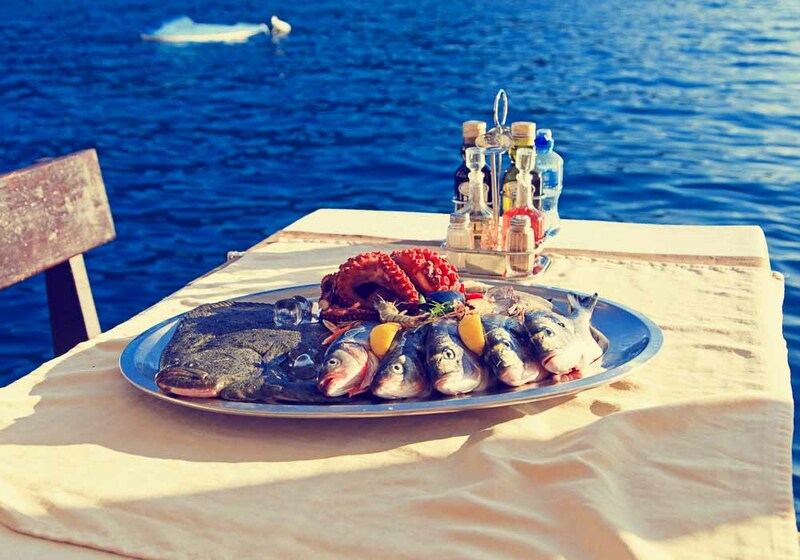 Freshly caught seabass, prawns, local oysters, royal lobsters, calamari and plenty of other delicious fish is hauled onto the beaches every morning before being transported to the local restaurants and markets to make that day’s delicious meals. This port city on the Atlantic coast has plenty to offer a hungry traveller, whether it’s traditional stews and tagines, Mediterranean-style dishes such as kebabs and pizzas, or delicious seafood pulled fresh from the blue waters that surround Mazagan. 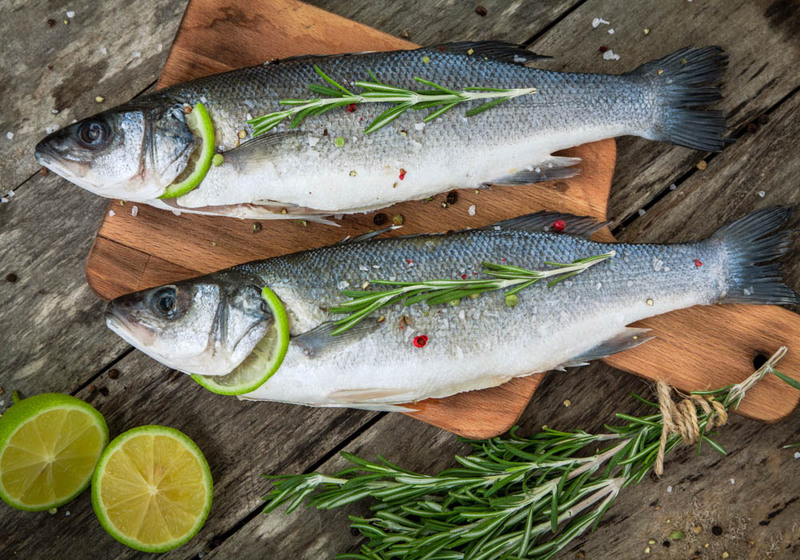 Many of the city’s best restaurants are around the coastal edge of Mazagan, giving you spectacular views over the ocean as you tuck into your meal of fried fish with chili sauce or aubergine tapenade. 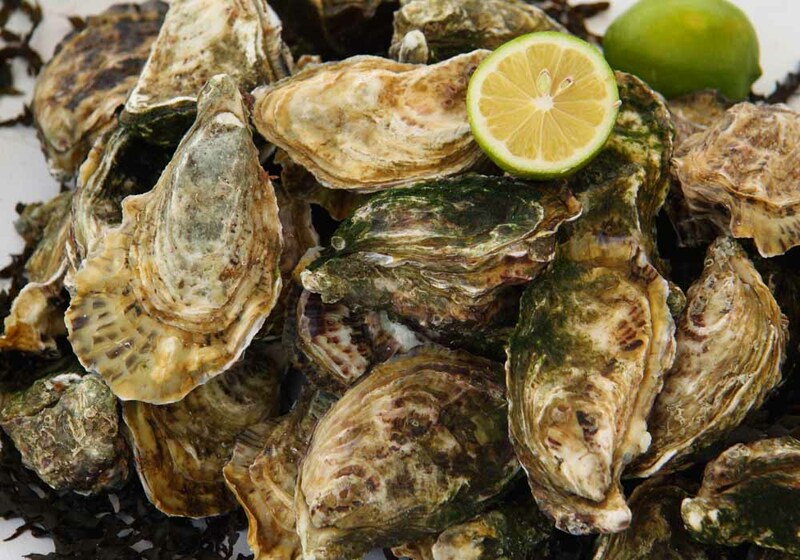 Oysters are somewhat of a speciality here too – the famous beds of nearby Oualidia provide the restaurants of Mazagan with this aquatic delicacy. 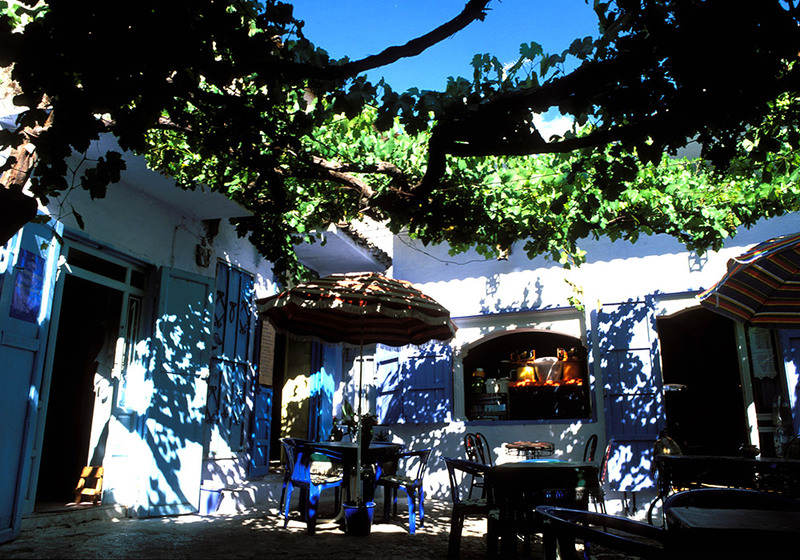 Further into the city you’ll find more restaurants and cafes, and away from the seafront and the tourist areas it’s very easy to find a seat in an authentic Mazagan restaurant for a taste of the real Morocco. Once the capital of Morocco, the imperial city of Meknes is surprisingly untouched by tourism, certainly compared with neighbouring Fez or Casablanca. 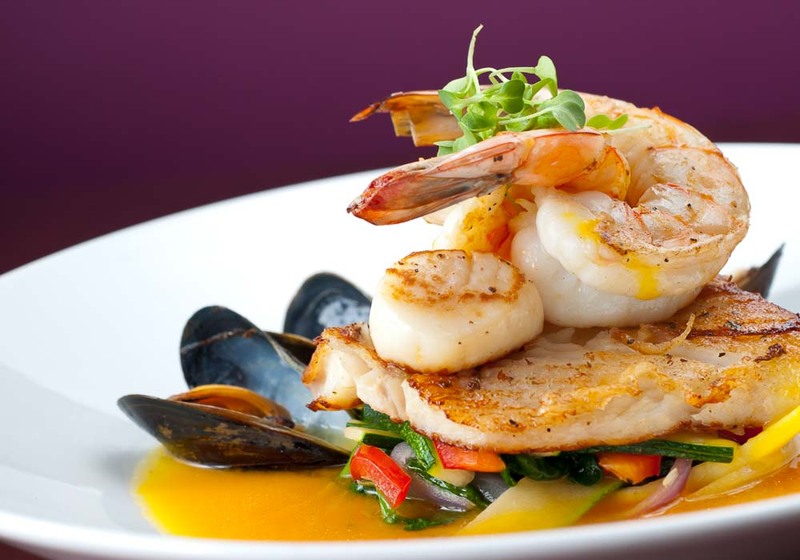 This gives you an authentic and exciting choice when it comes to eating out. 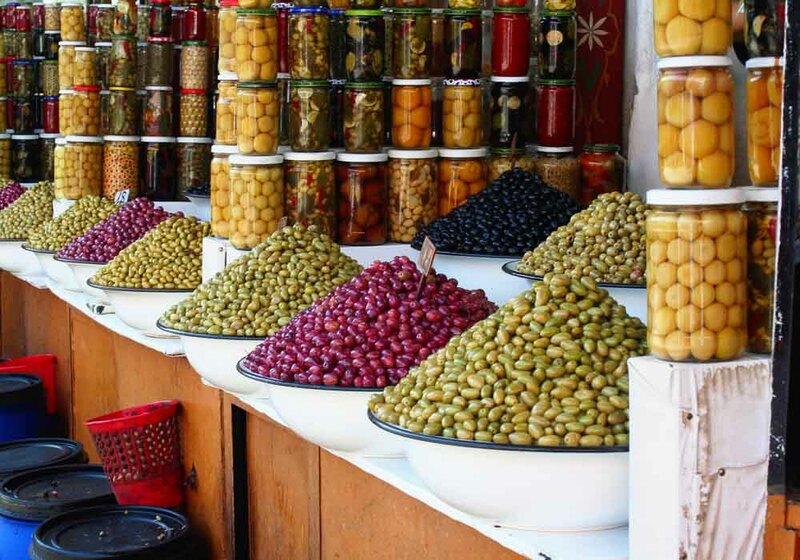 The first place to go in any Moroccan city is the medina, where you’ll find the traditional markets. 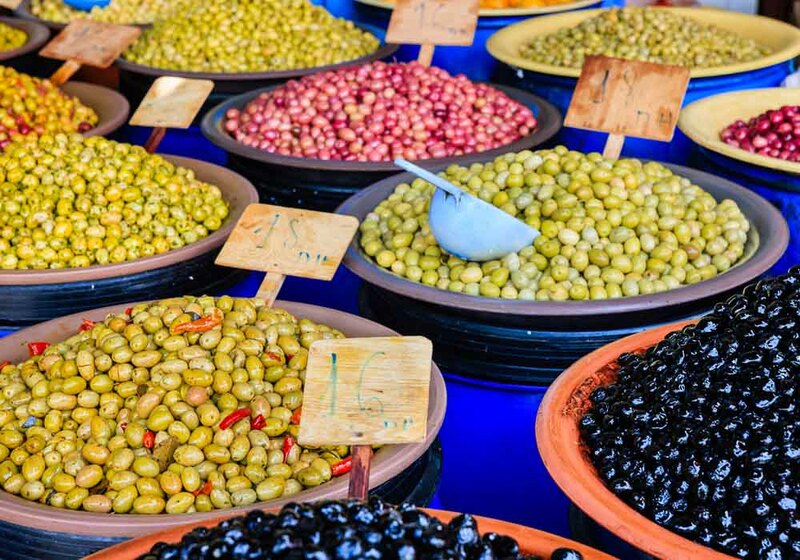 These are the places to buy street food and Moroccan specialities: fresh meat, fruit, spices and nuts are laid before you in delightful profusion. 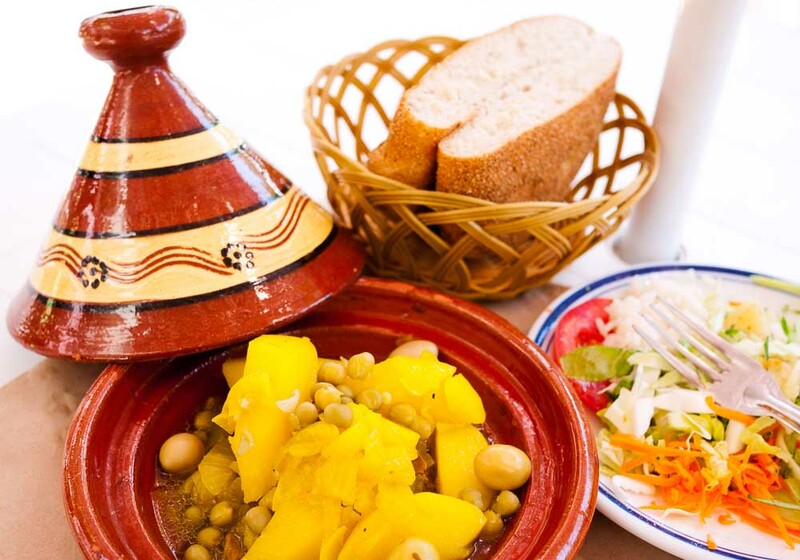 If you want a meal in a restaurant then head to the new town and Rue Antsirape – places to eat out line both sides of the main street, whether you want the more traditional harira and couscous, or Mediterranean influenced dishes. Even on the edge of the desert, Merzouga is still a Moroccan town and this is reflected in the range of dishes available from the cafés and restaurants in town. 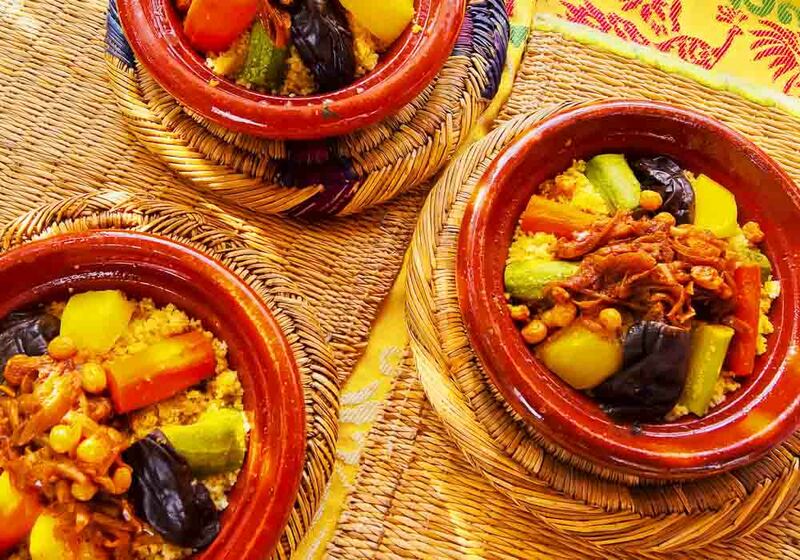 Couscous and meaty tagines are top of the menu here, but you should also attempt to try Madfouna. Sometimes dubbed the ‘Berber Pizza’, the dough is on the outside, and stuffed with a range of foodstuff, depending on where you are. In this region it’s likely to be pieces of steak and eggs, served with a light salad on the side. 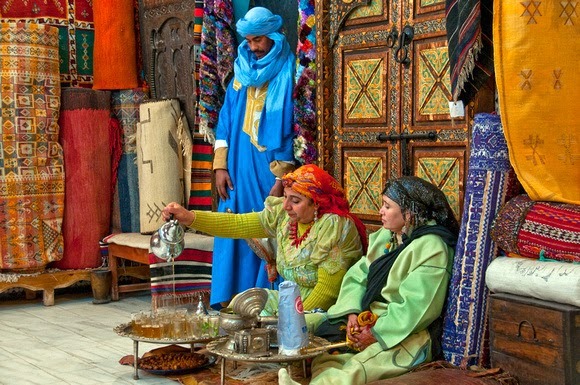 Sometimes known as the crossroads of the south, Ouarzazate is a place where Moroccan and Saharan culture have mixed for centuries, and the cuisine on offer in the town reflects this intermingling of cultures. There is a profusion of dates and spices on offer, on sale in the souk and used in the recipes of the local cafés and restaurants. 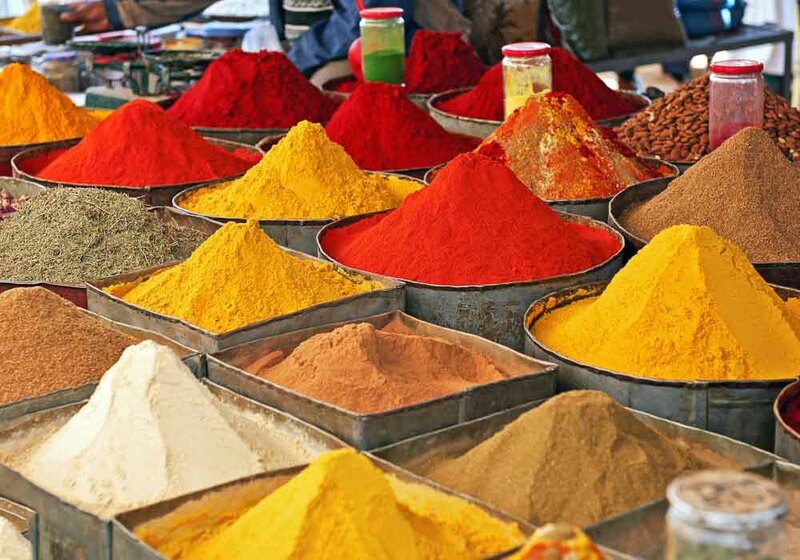 This area is the saffron capital of the world, and the usually expensive spice can be bought at a reasonable price. 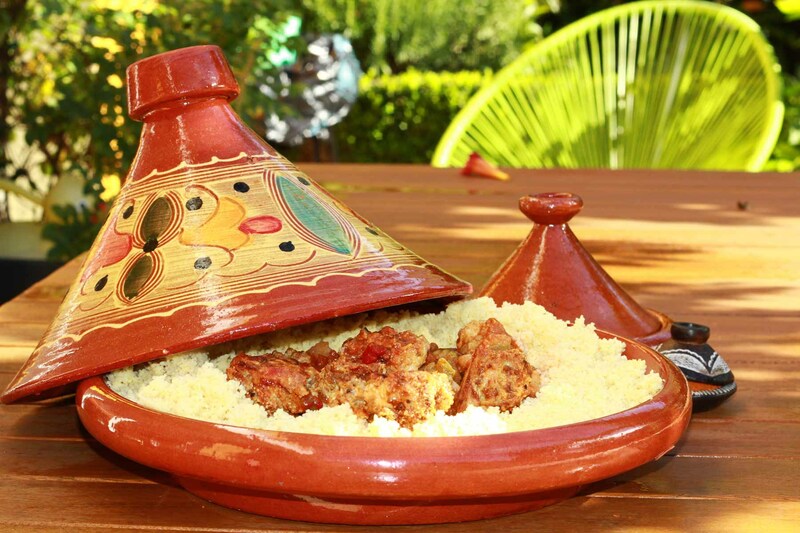 The traditional Moroccan dishes of couscous and tagines, in their distinctive domed pots, are also very much in evidence. 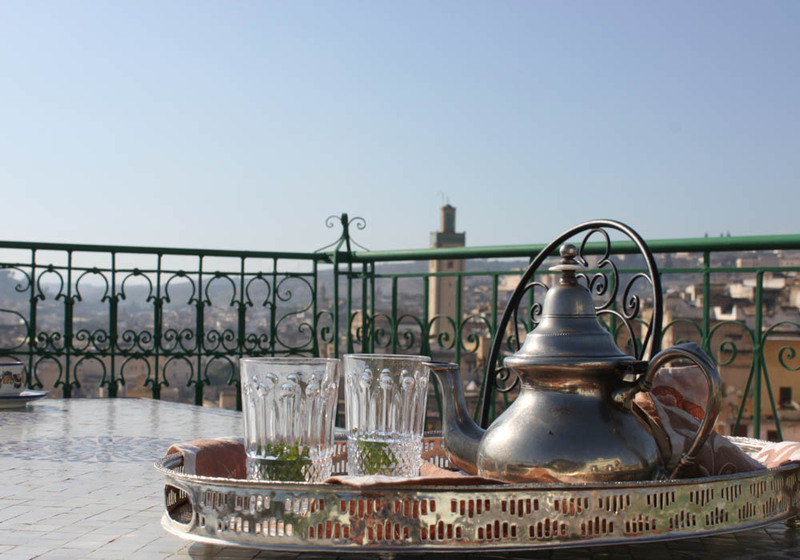 Along the main street and in the central square there are plenty of affordable restaurants serving traditional Moroccan cuisine, but you’ll also find the European influence here with pizzas and French cuisine. Eating out in the capital is easy, affordable and rewarding. 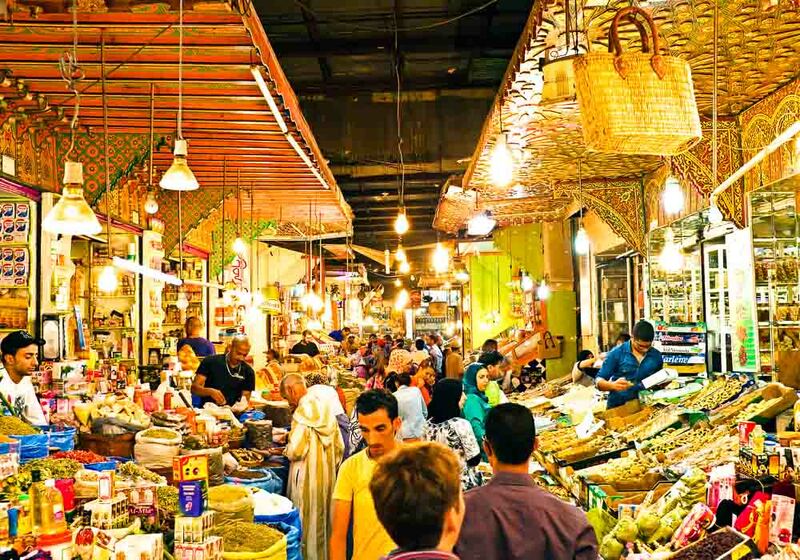 Around the medina in the centre of the city you’ll find numerous stalls selling all manner of Moroccan food and drink­ – fish, salads, rotisserie chicken, kebabs and beans can all be found and enjoyed easily. If you’re looking for a sweet option, there are vendors who will sell you delicious pancakes or pain au chocolat. 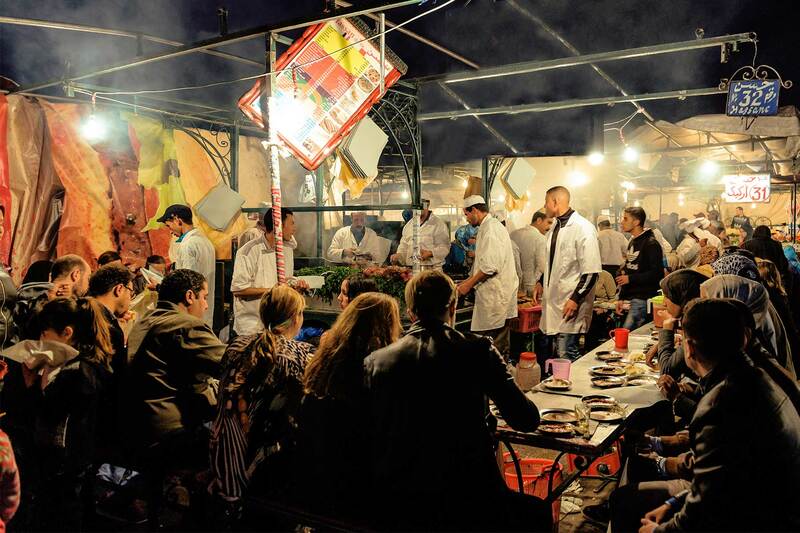 If you’d like to eat your meal sitting down, take a stroll down Avenue Mohammed V for traditional restaurants, circle out a little further and try the food in the Hassan Quarter, or visit the coastline for some expertly cooked fresh fish. 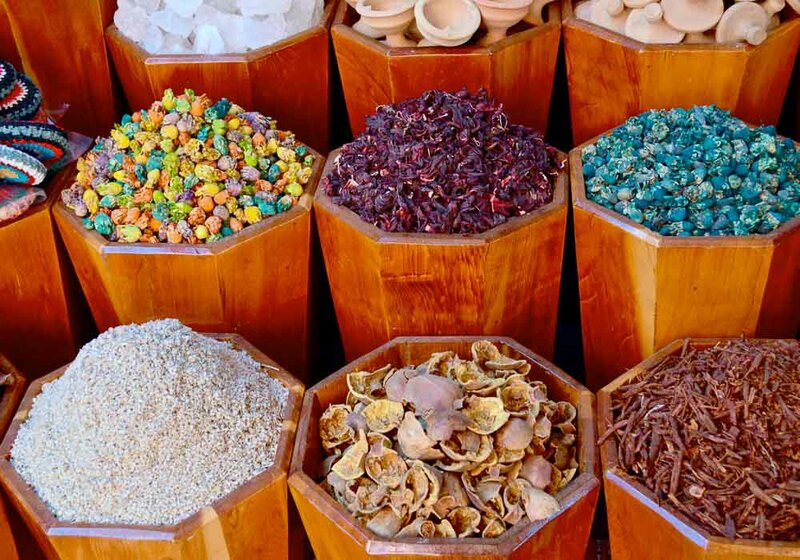 And when you want to prepare your own it’s easy to buy ingredients; the souks of the medina are full of stalls that sell everything from fruit to meat to spices. People come to enjoy Saïdia for many reasons: the long sandy beaches, the excellent climate, the leisure facilities … and the cuisine. 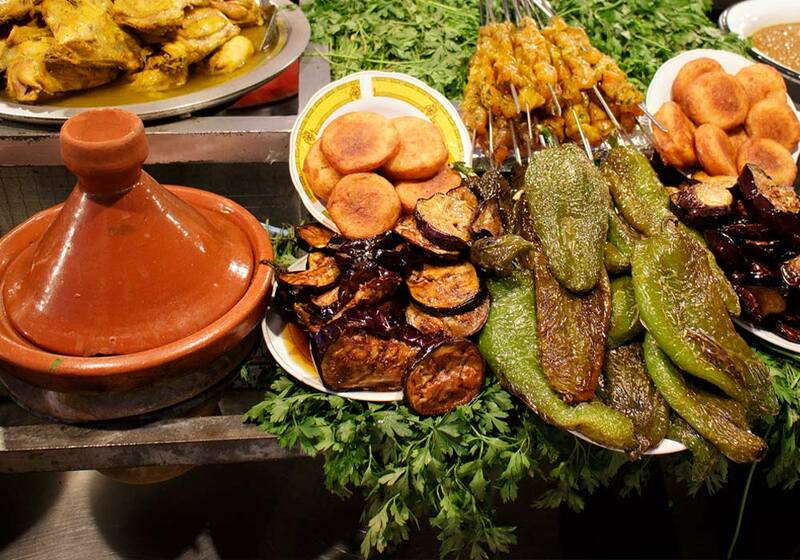 The food in this part of Morocco is famous for having a rich and subtle variety of flavours and it’s evident in the many unique dishes that are on offer here. Order berkoukes and you’ll be served with a highly spiced soup created with wheat and seasonal vegetables. Karane is a smooth puree made from flour and chickpeas, and ka’aks are crispy ring-shaped biscuits made with aniseed, cardamom and sesame seeds. The region is also famous for makrouts – delicious little fried semolina cakes studded with dates and then smothered in honey. 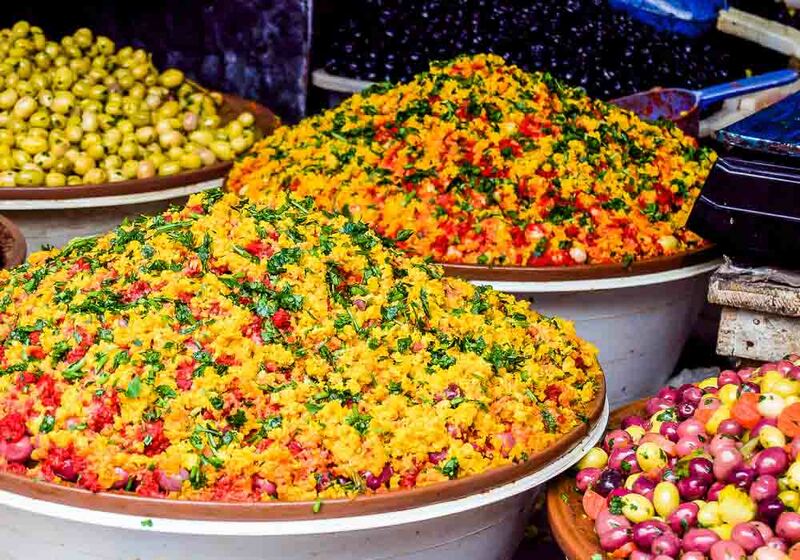 When you’re hungry in Tamuda Bay, head to Mohammed V Avenue where you’ll find a pedestrianised street lined with restaurants, cafes and street vendors. 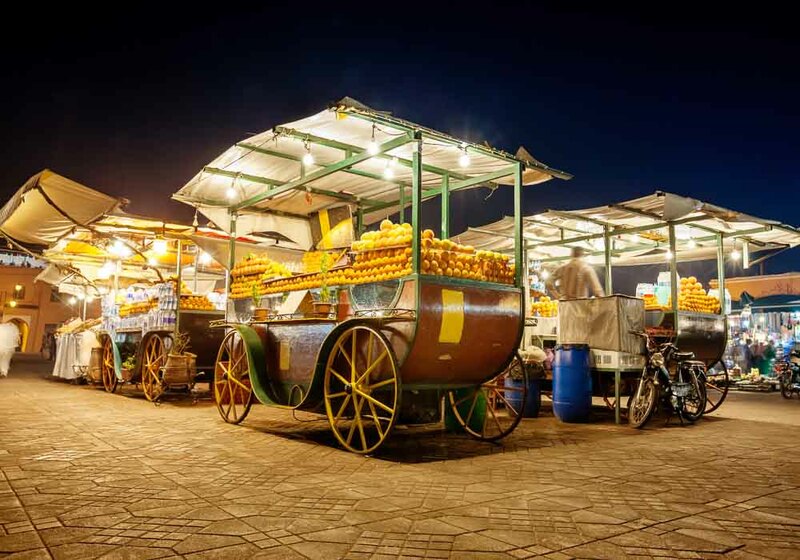 For a truly traditional experience visit the town’s Medina, a UNESCO World Heritage Site that is a great place to uncover the area’s multicultural heritage, including the cuisine. 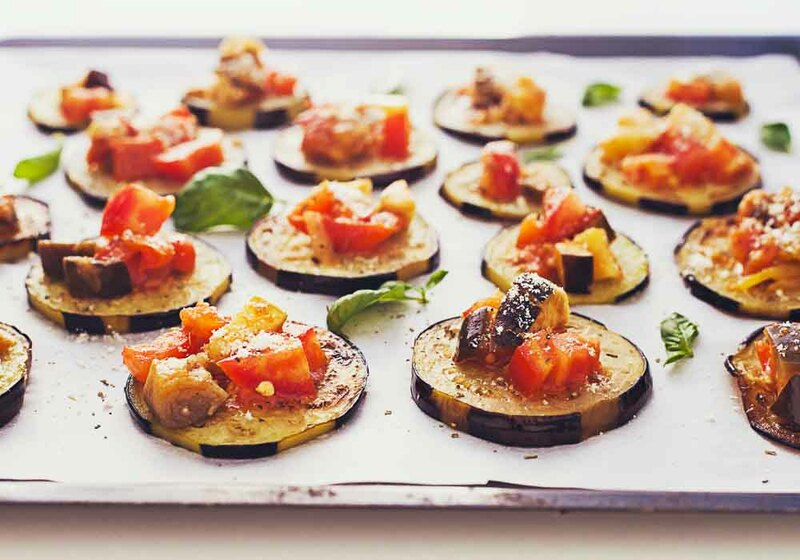 Whether it’s something cooked or the raw ingredients you’re sure to find something here to tempt your tastebuds. 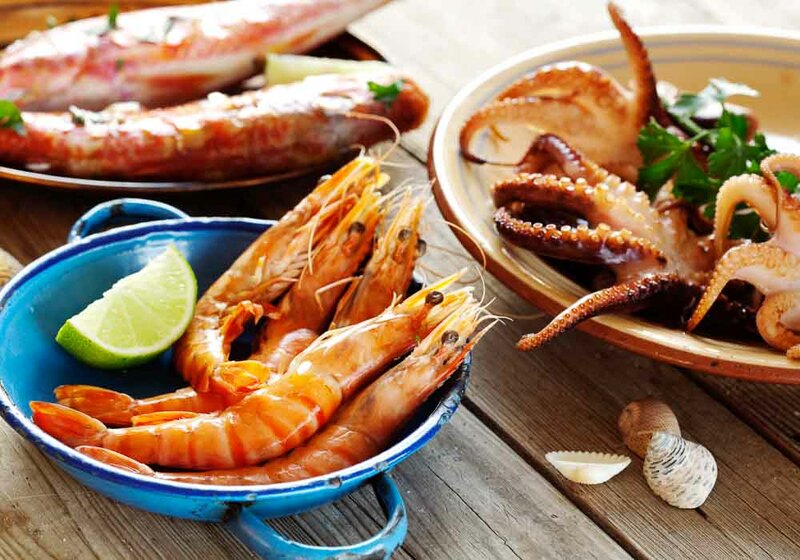 Situated on the Moroccan Mediterranean coast the seafood here is fresh and plentiful and you should attempt to try as much of it as possible. And if you’re looking for something to drink, try the ZaaZaa, a mix of avocado, almonds, apple and banana: the ultimate superfood cocktail and refreshingly exotic.